Denny Jump (Bellevue, WA, United States) on 6 October 2017 in Landscape & Rural. The formal Native American name for October's Full moon is the "Hunter's Moon." 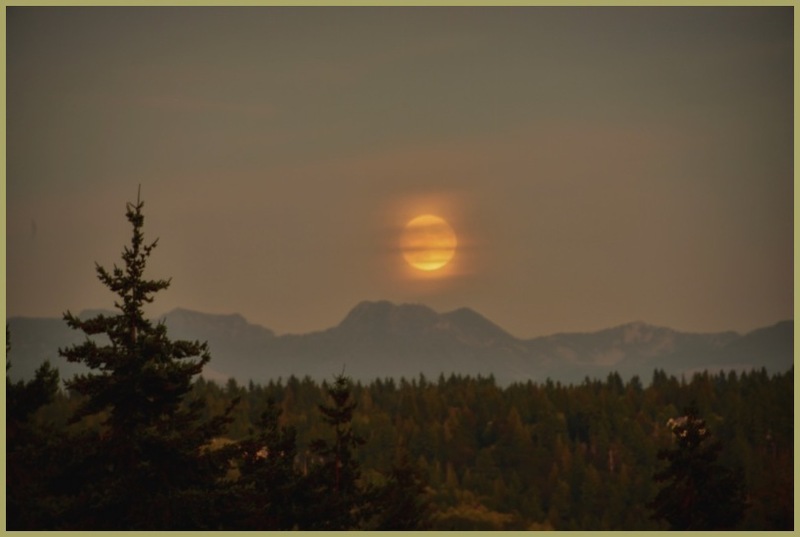 Wednesday evening I made this image of the moon rising over the Cascade Mountains of Washington, in a seriously hazy appearance. The combination of haze and multiple clouds provided what almost appeared to be rings around the moon, much like Saturn's rings. A rather strange appearance, indeed. Agree on the Saturn effect there . . and you did real well with this image. Mysterious and majestic. A fine shot, Denny! A gorgeous image, Denny! I love it. @Tomek: Thank you very much, Tomek! Magnificent work. The haunting mood, the subdued light and the moon make for a brilliant scene. Love your composition here as well. @Darkelf Photography: Thank you very much, kind sir! Stunning composition with this moon that appears so large and, as Darkelf says, haunting! !